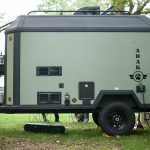 The new 11-foot-9 ADAK Adventure Trailer features a cassette blackwater system was installed in the trailer to make for easy and mess free dumping. 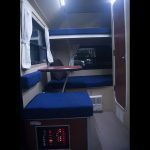 A look at the inside of the ADAK customizable trailer. 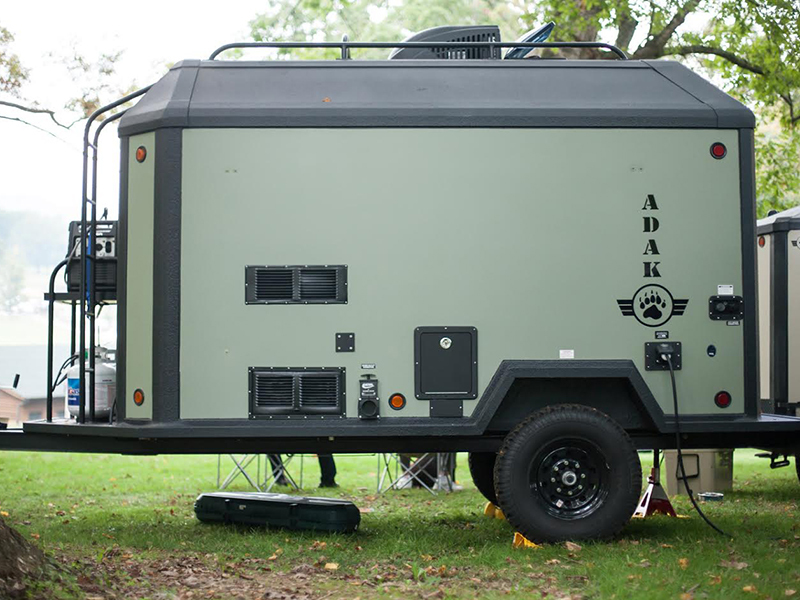 A look at the rear of the ADAK customizable trailer. 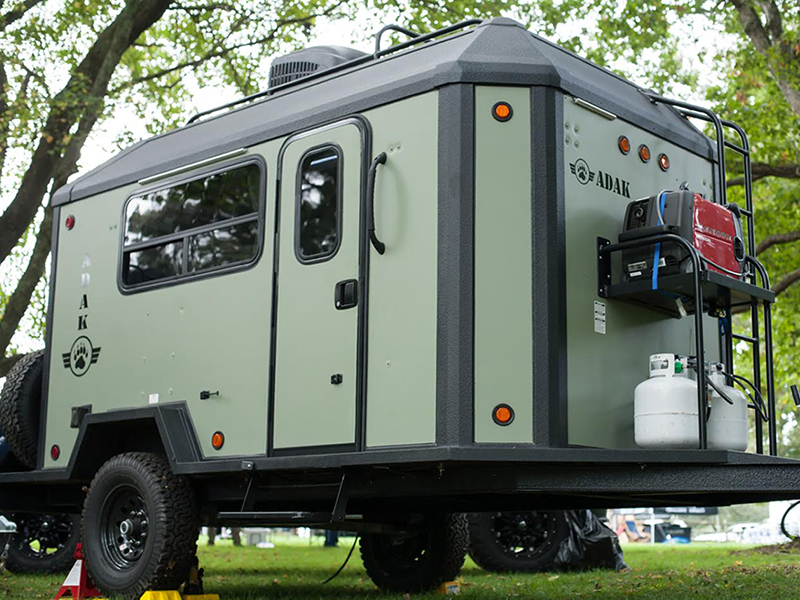 ADAK Adventure Trailers has created a smaller adventure trailer with a customizable floor plan to meet the consumer’s needs for 2015. 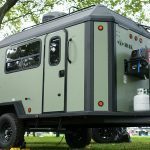 The new 11-foot-9 ADAK Adventure Trailer is a fully featured, rugged recreation vehicle with a luxury interior built for overlanders and outdoor enthusiasts. 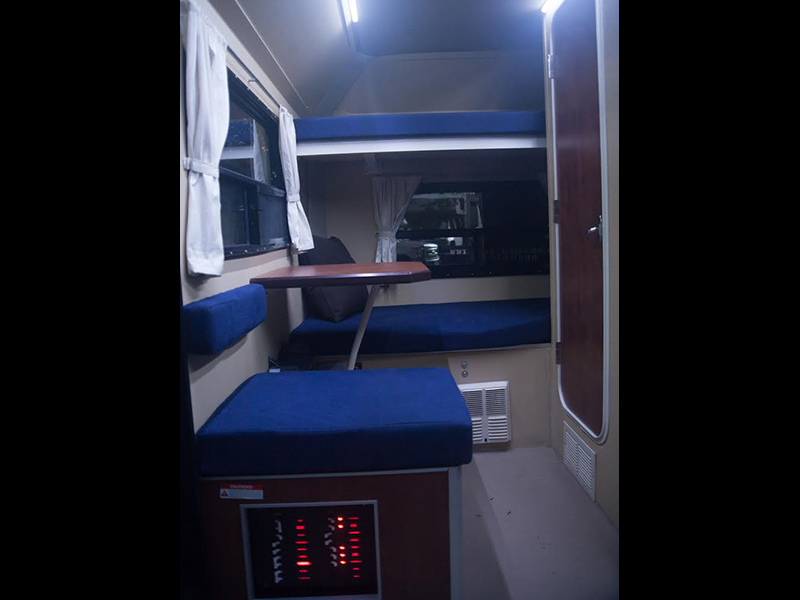 This adventure trailer is ergonomically designed to tackle any element Mother Nature has to deliver and offers a new floor plan for 2015 with a full size bed in the back with and optional single above. The DAK is equipped with large tires to grip all types of terrain and enhances the ability to clear any elements in its path. It is built with an electronic braking system and a custom torsion bar to ensure stability and precise control. A cassette blackwater system was installed in the trailer to make for easy and mess free dumping. 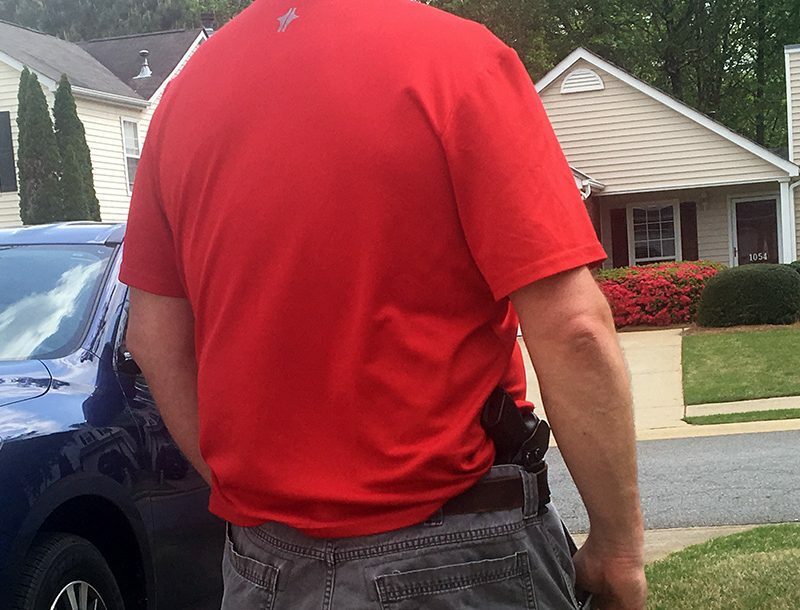 The plumbing and wiring were developed to withstand all climates it may encounter on its way to the final destination. 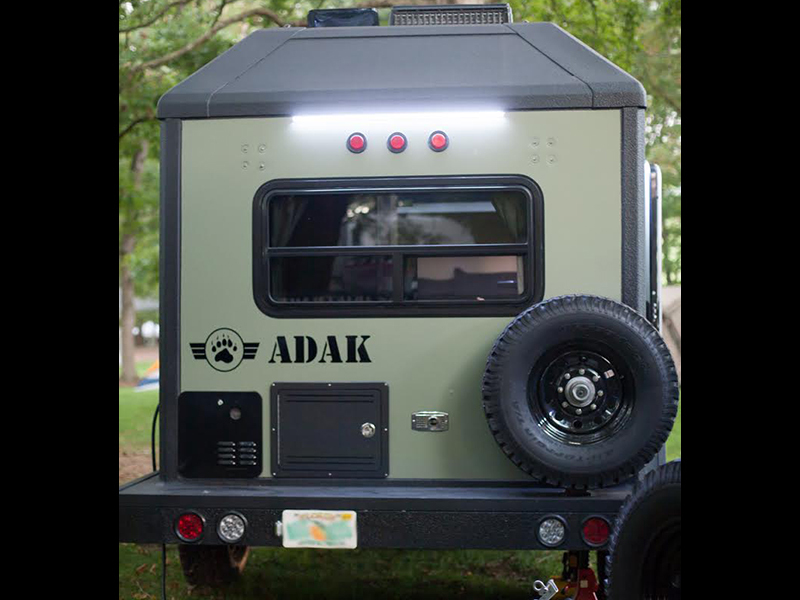 The ADAK trailer is designed with a durable aluminum chassis that will not rust and is bonded to a rugged 1 1Ž2 laminated honeycomb floor creating a heavy-duty foundation for the shelter. The walls and roof are also built with 1 1Ž2 FRP laminated honeycomb and are bonded together as a one-piece construction, making the trailer leak resistant. Double pane tinted windows are installed on the ADAK for improved climate control, reduced noise pollution and add a touch of privacy for its residents. A new addition to the11-foot-9 trailer is the premium wing style awning that sets up quickly and does not require poles or ropes. It provides shade around three sides of the trailer, will not collect water and designed with a full aluminum construction for durability and easy maintenance. 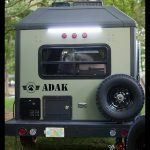 For more information on the new ADAK trailer and other products fromADAK Adventure Trailers, please visit ADAKtrailers.com. 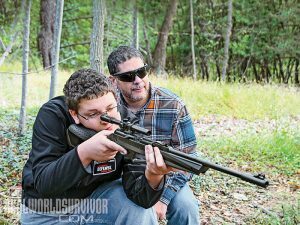 Father-son duo wring out Umarex's new trail-tough, 10-pump NXG APX.